A remote community in the Inner Hebrides has launched a fundraiser to help raise £400,000 to ensure they can reopen to visitors for Easter 2020. With the first phase of refurbishment works on historic Iona Abbey now complete, the community are appealing to raise the extra money by the end of the year to get the centre reopened and reduce the impact its closure is having on the local economy. 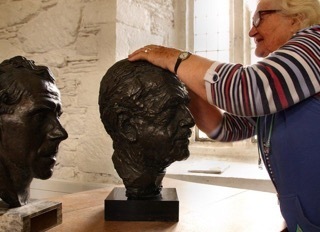 Volunteers and staff on the island have already begun packing up valuables, including a monument of George MacLeod, founder of the Iona Community, prior to the next phase of refurbishment works. Reverend Kathy Galloway, Co-Leader of the Iona Community, said: “Raising the final £400,000 will mean we can complete and equip the living and community space and minimise the impact our closure has on the island’s economy. “In the long-term, improved heating and insulation will mean we can extend our season to welcome more visitors and volunteers each year. At the moment, many rooms are too cold to use past October and before March. The community has so far raised more than £3.3 million towards the project; receiving more than 1,300 individual donations ranging from £2 to an unexpected £882,000.